Few weeks ago, I was invited to Beauty Halloween with TOO COOL FOR SCHOOL (TCFC) along with gorgeous beauty influencers. The event introduces the brand while showing us the quality of the products through makeup demo. I've been a big fan of TCFC's packaging design and also its quality, as expected from designer brand from London and New York. And in this gathering, they also introduced us to the latest series: GLAM ROCK SERIES. 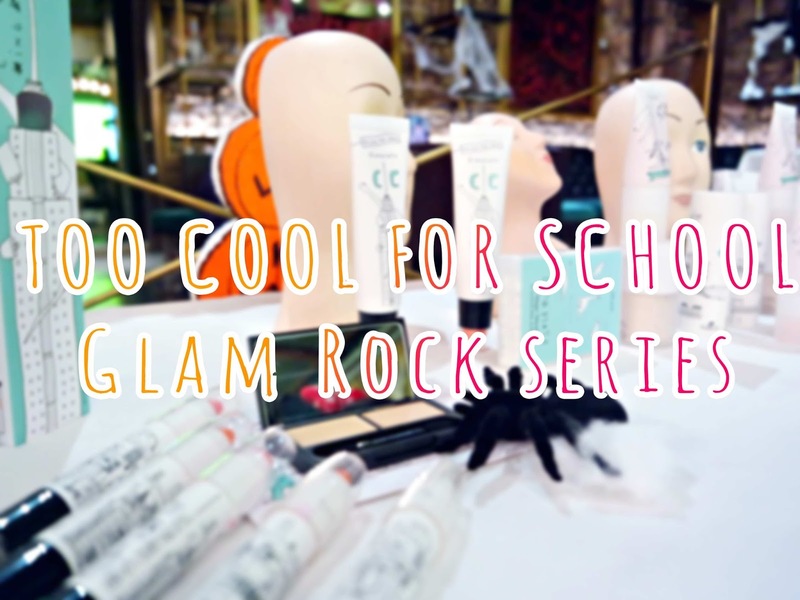 Too Cool For School's Spring collection consists of four different products: liquid liner, brow gel, lipstick, and mascara. Though the quartet is inspired by '70s glam rock, each tube is lacquered in a high-gloss black hue with a subtle, gold foil mask accent. The vampy vibes are particularly obvious in two products in the launch. The lip colors are called "Vampire Kiss"; a bright blood shade and a deep oxblood that are both edgy yet chic. And also the mascara's packaging: it's a tiny black coffin! And yes for this collection, you can judge it by its cover because it has waterproof formula which will make your eyelashes become curl, longer, and thicker! Say hello to my bare face! So after moisturizing my face, the next step is to apply face primer, so my enlarged pores can be covered while helping to make the makeup lasts longer. I was given two sachet-sized Rules Get Ready Dual Primer, it is mineral oil-free, means that it won't leave your pores clogged and cause blackheads & whiteheads. The texture is light and easy to blend. I put a small amount of it all over my face, focusing on oily parts. And here's my look after using primer. Second step is foundation. I tried this BB Foundation once and I remember that it is very nice! The texture is quite runny and not too thick, making it easy to blend it even using only your fingers. 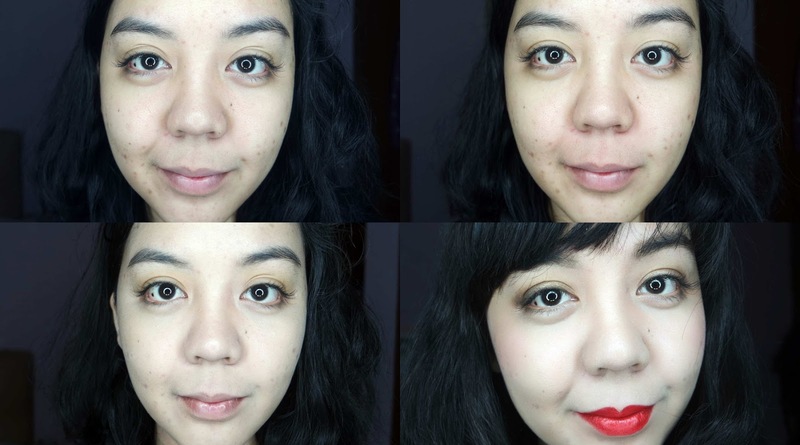 It has medium coverage and glowy finish (which I like), so perfect for daily makeup! I got two eyeshadow cubes from Glam Rock Urban Shadow; #5 and #7. Both has shimmering finish, perfect for glam look and smoky eyes look. Urban Shadow #5 is a toned-down bronze gold for elegant mood. As the color pigments have ingredients and structures similar to the skin, they give vivid colors to the skin. This allows us to create a dark smoky makeup using those dark and deep colors. Urban Shadow #7 is a perfect eyeshadow to create smoky eyes that change according to the light. Similar to #5, it has similar ingredients and structures, resulting in vivid colors to the skin. This way, we can create a dark smoky makeup using those dark and deep colors. And here's the final result for my eyeshadow look, plus my bare brows. This one caught my eyes the most during the gathering, LOL. I'm a big fan of eyebrow powder, so I have high expectations towards this. This eyebrow kit helps brows look defined and shaped, and powder which blends evenly onto skin naturally. 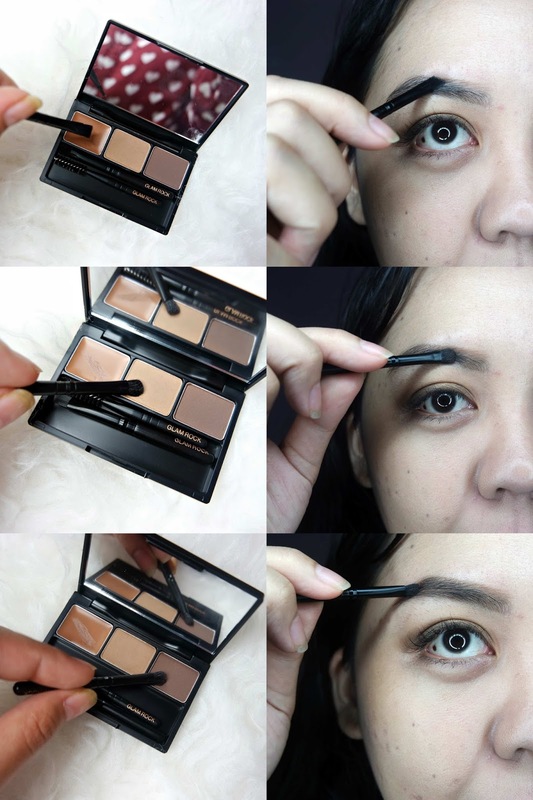 Palette contains eyebrow primer, two-colored eyebrow cake, and three brushes. More good news? It's mineral oil-free gel and powder! Tada! Here comes the most interesting packaging from Glam Rock series: Volume Thriller Mascara with coffin box. It is real waterproof mascara which can't be removed by water and sweat. Soft and neat application, HOOK CURL MASCARA which produces glamorous volume. It sticks and adheres well on eyelashes so it produces plentiful, long eyelashes with addition of sticky oil, wax, and fiber compositions. Since I already have my eyelash extension on, I only apply it to my lower lash using zig-zag method to prevent built-up. I got two shades of lipstick from this Glam Rock series; Bloody Kiss (red) and Red Velvet. Vampire's Kiss is a mysterious red lipstick with bold and long-lasting colors. Impart your lips with irresistible reds. Inspired by a vampire's kiss, Glam Rock Vampire's Kiss provides lasting lip color with satin finish. It is infused with rose flower water, tomato peel, pomegranate, mango, pineapple, papaya, and mangosteen extracts to help soothe and plump the look of lips. This product is free of animal-derived ingredients and not tested on animals. What it is formulated WITHOUT: Parabens, Sulfates, and Phthalates. Overall, I really love this whole collection because it all deliver what has been promised. 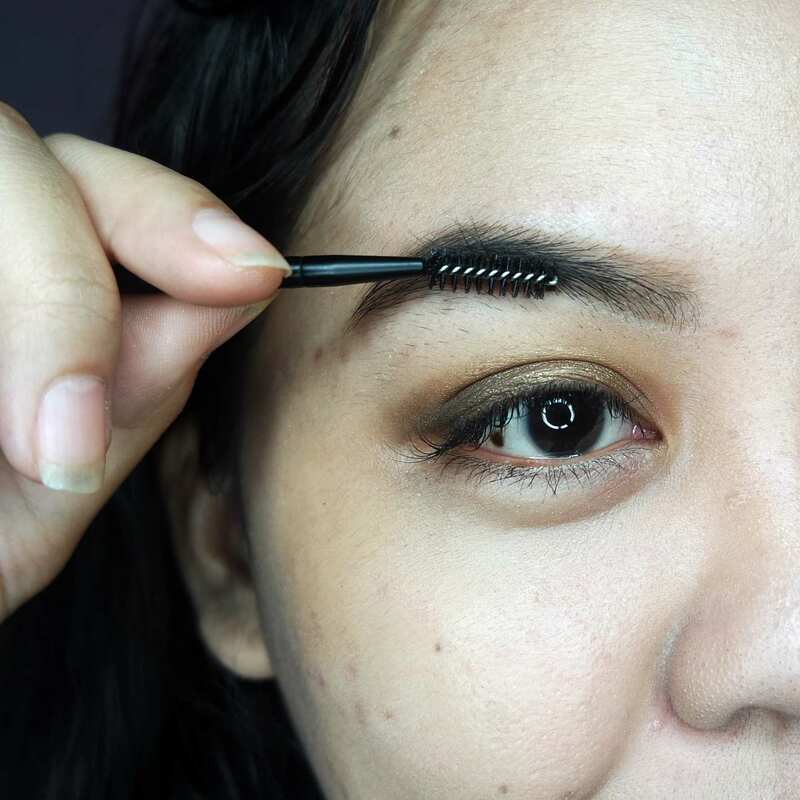 But if I have to pick the best one, it will be Brow Express because it has all-in-one feature that can save my eyebrow instantly! What do you think of TOO COOL FOR SCHOOL Glam Rock series?